The question was posed by this week's Carnival of Homeschooling host, Sprittibee; "What does your homeschool, schooling room look like?" and I just had to answer! Most articles I read on this matter give an in-the-box answer with one room and one way of getting things done... just last year I gave an in-the-box answer to this question! But something changed. I so wish I could fit three of these desks in my house!! First day of Fall art this past week! Ok, so this looks like cooking... but it isn't! Above, we are practicing spelling words in flour... it has helped my visual-spacial learners do better on their tests! Although... it does make more mess to clean up! But worth it! Below, they are practicing math facts with quizzing calculators while I make french toast for breakfast. However, the couch, the coffee table (the living room in general! ), and even the picnic table on nice days can make lovely work areas as well! The kids made "stores" and went "shopping"! Although, winter field trips for some P.E. at the ice rink are always grand! I do miss the 'traditional' classroom set-up we had when we first started homeschooling, and I do have certain areas that are set aside for homeschooling materials, but as you explore my blog and get to know me, you will quickly learn that, in as much as I miss the traditional, we have a lot of fun learning in the eclectic, out-of-the ordinary ways and places! May God Bless you and your homeschool classroom today... no matter where it is! It looks great! And homeschooling really is a life style that occurs everywhere. Homeschooling is a way of life. It shouldn't be trapped in one room. We have a classroom, but we school all over the house and outdoors and even the next state! Enjoyed your story & your pics! Misty, Thanks! While one classroom is simple and neat, I think one of the blessings of homeschool is the ability to spread out! Hello and Welcome! I'm Amanda, mom to four absolute blessings and wife to a husband who still makes my heart skip a beat just with a smile! I am a child of God, seeking to live missionally for His Glory. 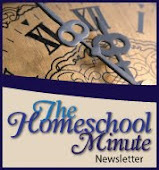 Faith and Home (formally Faithful Homeschool) is a reflection of all the tender and dear things which come to my heart. I hope you will find tid-bits here to cheer yours! When the Guilt Monster Growls... Just Growl Back! Please request permission to re-print or re-distribute any information on this website. 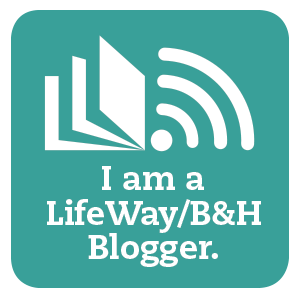 Any tag-backs or "shares" should be directed to FaithfulHomeschool.com and/or Amanda Jones. Faith and Home Copyright 2008-2016. Sunflowers from The Cutest Blog on the Block. . Picture Window theme. Powered by Blogger.